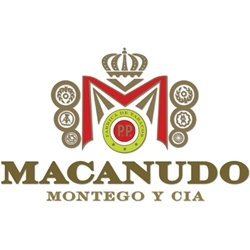 Handcrafted 40 years ago by General Cigar Company in the Dominican Republic, Macanudo hand-rolled premium cigars have become the world’s most sought-after brands on the cigar market. Available in various shapes, sizes, blends, and strengths. Each Macanudo handmade cigar delivers a mild, yet flavorful smoking experience due to their distinctively smooth and perfectly balanced taste a smoker gets with every draw. Each Macanudo premium cigar is carefully created with perfectly aged tobaccos procured from the Dominican Republic, Mexico and Jamaica. This tobacco is wrapped in twice-aged light US Connecticut Shade or dark Maduro wrappers and then bound in binders from Mexico. If you’re looking for a smooth and refined smoking experience, try one of the varieties of Macanudo brands listed below. Each of these styles are available today for a discount price! Call us for more details!